Powered by smooth 2.0 TFSI engine with 300PS. Quattro four-wheel drive means superb traction. Lighter weight helps economy with an official 40mpg. Subtle rather than overtly sporty looks. 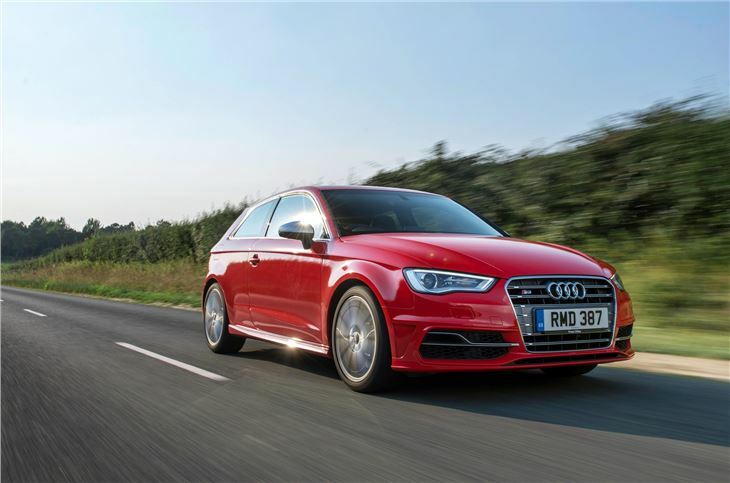 Complaint of transmission lag from 2018 Audi S3 2.0TFSI 310 quatto s-tronic saloon. Will either be the DQ381 or DQ500 7-speed wet clutch DSG/s-tronic. 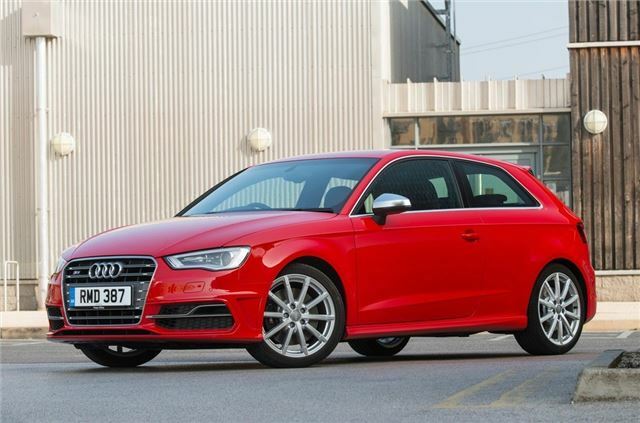 The Audi A3 and A3 Sportback models are among the very best family hatchbacks on the market so it makes sense that a performance variant is available in the form of the S3. It too is offered as both a three-door and a five-door Sportback, and it’s as refined and well put together as the everyday A3 models. It doesn't look like high-performance hot hatch at a glance however. The only real giveaway is the quad rear exhausts, as even the red 'S' badging is available on lesser S Line models - but that sets it apart from cars like the aggressively styled Vauxhall Astra VXR and leaves room for a more overtly styled RS3 model in coming years. The big difference, of course, is in the performance the S3 delivers. Power comes from a 2.0 TFSI petrol engine familiar from the likes of the latest Volkswagen Golf GTI, but with power cranked up to 300PS and torque to 380Nm across a broad rev range. 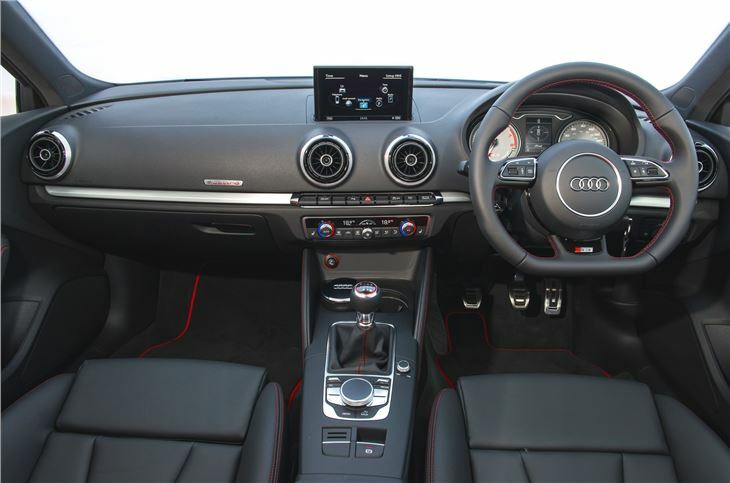 The result is excellent performance – 0-62mph takes 4.8 seconds with a the S Tronic gearbox specified. It takes a smidge longer to get to 62mph with the standard manual gearbox – 5.2 seconds – but all models, whether three-door or five-door, manual or automatic, are limited to a 155mph top speed. Despite impressive performance the fuel economy is good – S Tronic models manage 40.9mpg on the combined cycle with emissions of 159g/km. 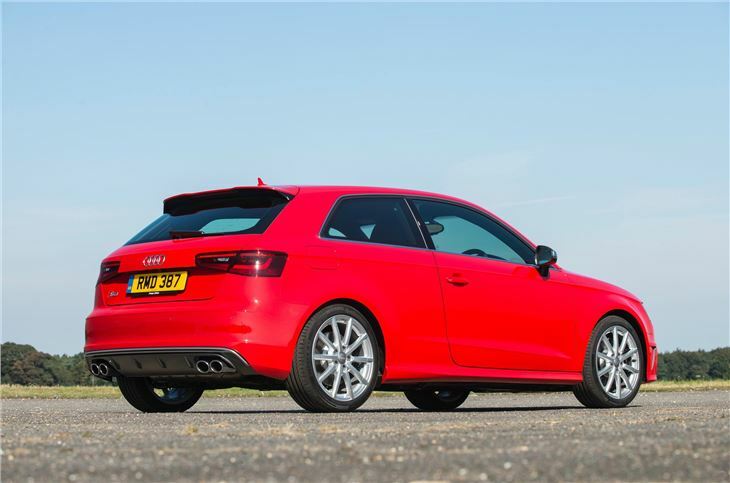 As with all performance Audi models the S3 features quattro all-wheel drive and it works to maintain traction and keep the car planted and stable on twisting roads, whether at high speeds or when accelerating out of slower turns or roundabouts. 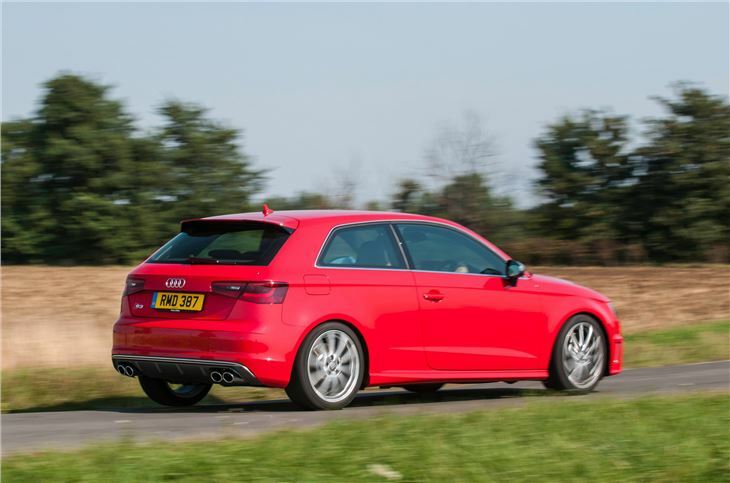 It offers enjoyable performance and handling but it feels safe and controllable, which is a great blend for a family-sized hot hatchback. It’s a little firmer than the A3 but that’s an expected compromise when buying a performance car and it’s not at all uncomfortable. 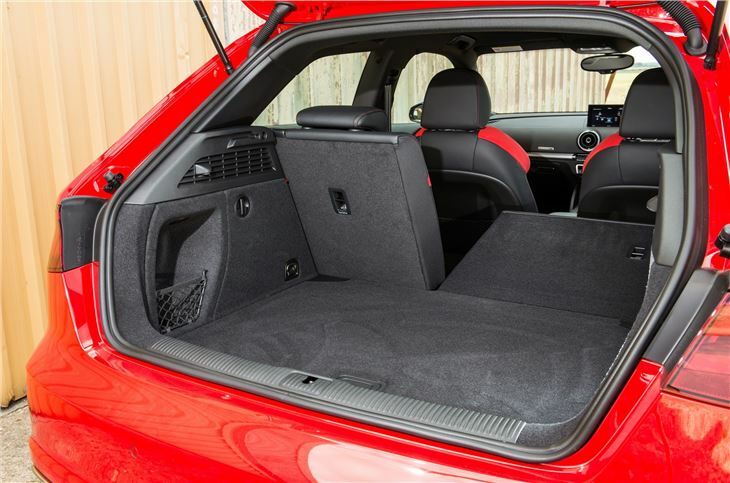 It’s as practical as the A3 on which it is based, and so offers a useable everyday package that’s easy to drive on the motorway and around town but that’s enjoyable when you get to your favourite road.